To formulate the universal constraints of quantum statistics data of generic long-range entangled quantum systems, we introduce the geometric-topology surgery theory on spacetime manifolds where quantum systems reside, cutting and gluing the associated quantum amplitudes, specifically in 2+1 and 3+1 spacetime dimensions. First, we introduce the fusion data for worldline and worldsheet operators capable of creating anyonic excitations of particles and strings, well-defined in gapped states of matter with intrinsic topological orders. Second, we introduce the braiding statistics data of particles and strings, such as the geometric Berry matrices for particle-string Aharonov-Bohm, 3-string, 4-string, or multi-string adiabatic loop braiding process, encoded by submanifold linkings, in the closed spacetime 3-manifolds and 4-manifolds. Third, we derive new `quantum surgery' formulas and constraints, analogous to Verlinde formula associating fusion and braiding statistics data via spacetime surgery, essential for defining the theory of topological orders, 3d and 4d TQFTs and potentially correlated to bootstrap boundary physics such as gapless modes, extended defects, 2d and 3d conformal field theories or quantum anomalies. This article is meant to be an extended and further detailed elaboration of our previous work [arXiv:1602.05951] and Chapter 6 of [arXiv:1602.05569]. Our theory applies to general quantum theories and quantum mechanical systems, also applicable to, but not necessarily requiring the quantum field theory description. We introduce the concept of boundary degeneracy of topologically ordered states on a compact orientable spatial manifold with boundaries, and emphasize that the boundary degeneracy provides richer information than the bulk degeneracy. Beyond the bulk-edge correspondence, we find the ground state degeneracy of the fully gapped edge modes depends on boundary gapping conditions. By associating different types of boundary gapping conditions as different ways of particle or quasiparticle condensations on the boundary, we develop an analytic theory of gapped boundaries. By Chern-Simons theory, this allows us to derive the ground state degeneracy formula in terms of boundary gapping conditions, which encodes more than the fusion algebra of fractionalized quasiparticles. We apply our theory to Kitaev's toric code and Levin-Wen string-net models. We predict that the Z2 toric code and Z2 double-semion model (more generally, the Zk gauge theory and the U(1)k×U(1)−k non-chiral fractional quantum Hall state at even integer k) can be numerically and experimentally distinguished, by measuring their boundary degeneracy on an annulus or a cylinder. A class of strongly interacting many-body fermionic systems in 2+1D non-relativistic conformal field theory is examined via the gauge-gravity duality correspondence. The 5D charged black hole with asymptotic Schrodinger isometry in the bulk gravity side introduces parameters of background density and finite particle number into the boundary field theory. We propose the holographic dictionary, and realize a quantum phase transition of this fermionic liquid with fixed particle number by tuning the background density β at zero temperature. On the larger β side, we find the signal of a sharp quasiparticle pole on the spectral function A(k,w), indicating a well-defined Fermi surface. On the smaller β side, we find only a hump with no sharp peak for A(k,w), indicating the disappearance of Fermi surface. The dynamical exponent z of quasiparticle dispersion goes from being Fermi-liquid-like z≃1 scaling at larger β to a non-Fermi-liquid scaling z≃3/2 at smaller β. By comparing the structure of Green's function with Landau Fermi liquid theory and Senthil's scaling ansatz, we further investigate the behavior of this quantum phase transition. A large class of symmetry-protected topological phases (SPT) in boson / spin systems have been recently predicted by the group cohomology theory. In this work, we consider SPT states at least with charge symmetry (U(1) or ZN) or spin Sz rotation symmetry (U(1) or ZN) in 2D, 3D, and the surface of 3D. If both are U(1), we apply external electromagnetic field / `spin gauge field' to study the charge / spin response. For the SPT examples we consider (i.e. Uc(1)⋊ZT2, Us(1)×ZT2, Uc(1)×[Us(1)⋊Z2]; subscripts c and s are short for charge and spin; ZT2 and Z2 are time-reversal symmetry and π-rotation about Sy, respectively), many variants of Witten effect in the 3D SPT bulk and various versions of anomalous surface quantum Hall effect are defined and systematically investigated. If charge or spin symmetry reduces to ZN by considering charge-N or spin-N condensate, instead of the linear response approach, we gauge the charge/spin symmetry, leading to a dynamical gauge theory with some remaining global symmetry. The 3D dynamical gauge theory describes a symmetry-enriched topological phase (SET), i.e. a topologically ordered state with global symmetry which admits nontrivial ground state degeneracy depending on spatial manifold topology. For the SPT examples we consider, the corresponding SET states are described by dynamical topological gauge theory with topological BF term and axionic Θ-term in 3D bulk. And the surface of SET is described by the chiral boson theory with quantum anomaly. It is known as a purely quantum effect that a magnetic flux affects the real physics of a particle, such as the energy spectrum, even if the flux does not interfere with the particle's path - the Aharonov-Bohm effect. Here we examine an Aharonov-Bohm effect on a many-body wavefunction. Specifically, we study this many-body effect on the gapless edge states of a bulk gapped phase protected by a global symmetry (such as ZN) - the symmetry-protected topological (SPT) states. The many-body analogue of spectral shifts, the twisted wavefunction and the twisted boundary realization are identified in this SPT state. An explicit lattice construction of SPT edge states is derived, and a challenge of gauging its non-onsite symmetry is overcome. Agreement is found in the twisted spectrum between a numerical lattice calculation and a conformal field theory prediction. Chihan Peng · Yongliang Yang · Peter Wonka. Computing layouts with deformable templates. In ACM Transactions on Graphics.Volume 33.Issue 4.2014. Pedrinis F, Morel M, Gesquiere G, et al. Change Detection of Cities[C]., 2015: 123-139. Teso S, Sebastiani R, Passerini A, et al. Structured Learning Modulo Theories[J]. Artificial Intelligence, 2014. Alhalawani S, Yang Y, Wonka P, et al. What makes London work like London[J]. symposium on geometry processing, 2014, 33(5): 157-165. Vaxman A, Campen M, Diamanti O, et al. Directional Field Synthesis, Design, and Processing[C]. international conference on computer graphics and interactive techniques, 2016. Feng T, Yu L, Yeung S, et al. Crowd-driven mid-scale layout design[J]. ACM Transactions on Graphics, 2016, 35(4). Nishida G, Garciadorado I, Aliaga D G, et al. Example-Driven Procedural Urban Roads[J]. Computer Graphics Forum, 2015. Zhou J, Sun Z, Yang K, et al. A controllable stitch layout strategy for random needle embroidery[J]. Journal of Zhejiang University Science C, 2014, 15(9): 729-743. Chihan Peng · Yongliang Yang · Fan Bao · Daniel Fink · Dongming Yan · Peter Wonka · Niloy J Mitra. Computational network design from functional specifications. In ACM Transactions on Graphics.Volume 35.Issue 4.Page 131.2016. We present a framework for generating street networks and parcel layouts. Our goal is the generation of high-quality layouts that can be used for urban planning and virtual environments. We propose a solution based on hierarchical domain splitting using two splitting types: streamline-based splitting, which splits a region along one or multiple streamlines of a cross field, and template-based splitting, which warps pre-designed templates to a region and uses the interior geometry of the template as the splitting lines. We combine these two splitting approaches into a hierarchical framework, providing automatic and interactive tools to explore the design space. Toshniwal D, Speleers H, Lei N, et al.. Smooth splines on unstructured quadrilateral and hexahedral meshes. For the purpose of isogeometric analysis, one of the most common ways is to construct structured hexahedral meshes, which have regular tensor product structure, and fit them by volumetric T-Splines. This theoretic work proposes a novel surface quadrilateral meshing method, colorable quad-mesh, which leads to the structured hexahedral mesh of the enclosed volume for high genus surfaces. The work proves the equivalence relations among colorable quad-meshes, finite measured foliations and Strebel differentials on surfaces. This trinity theorem lays down the theoretic foundation for quadrilateral/hexahedral mesh generation, and leads to practical, automatic algorithms. The work proposes the following algorithm: the user inputs a set of disjoint, simple loops on a high genus surface, and specifies a height parameter for each loop; a unique Strebel differential is computed with the combinatorial type and the heights prescribed by the user’s input; the Strebel differential assigns a flat metric on the surface and decomposes the surface into cylinders; a colorable quad-mesh is generated by splitting each cylinder into two quadrilaterals, followed by subdivision; the surface cylindrical decomposition is extended inward to produce a solid cylindrical decomposition of the volume; the hexadhedral meshing is generated for each volumetric cylinder and then glued together to form a globally consistent hex-mesh. The method is rigorous, geometric, automatic and conformal to the geometry. This work focuses on the theoretic aspects of the framework, the algorithmic details and practical evaluations will be given in the future expositions. An order 3 magic hexagon resembles the shape of a 19-cell honeycomb, arranged in a 3 4 5 4 3 manner. The requirement is to fill the numbers 1-19 in the grids so that each row (15 in total) adds up to 38. Previously invented methods aimed at solving this problem and proving its uniqueness were either not rigorous enough or too intricate. So by analyzing its properties, I wanted to find a combinatorial solution to its construction, prove its uniqueness, and investigate whether its mathematical principles can be used in real-world applications. The difficulty depends on the viewpoint, so the first step was to label each grid in a convenient way. I chose to look at the magic hexagon as a network composed of a center and rings. Then the connections and restrictions of each number set could be found by formula derivation. In a similar fashion, symmetrical properties were also found. The next step was to analyze possible distributions of odd and even numbers. Out of the 9 configurations, only 1 proved to be usable. The final step was construction. With all the properties known, the few impossibilities were easily eliminated, and only one solution remained, thus proving its uniqueness. The procedures used on the order 3 magic hexagon may be extended to those of higher orders, providing more ease in their construction. The unique properties of magic hexagons may be used in some fields of application, such as in password systems, large-scale roof structure, composite material, national security systems and many other fields. 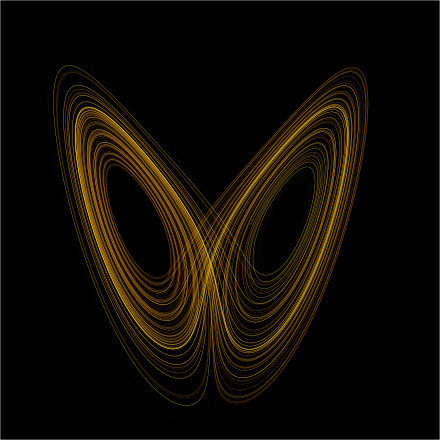 Chaos theory is the field of study in mathematics that studies the behavior of dynamical systems that are highly sensitive to initial conditions - a response popularly referred to as the butterfly effect. 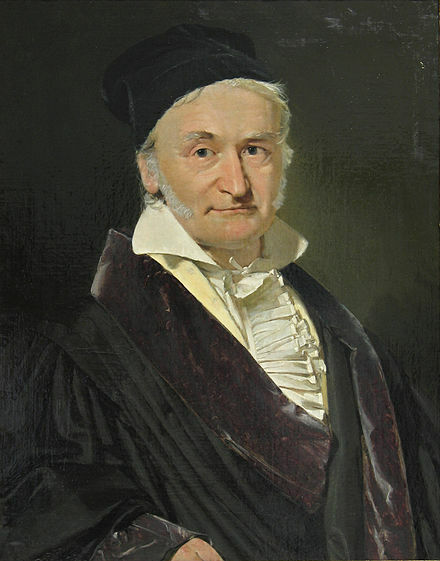 Johann Carl Friedrich Gauss was a German mathematician who contributed significantly to many fields, including number theory, algebra, statistics, analysis, differential geometry, geodesy, geophysics, mechanics, electrostatics, astronomy, matrix theory, and optics.